My passion for laughter, sharing joy in life, and a desire to increase love in the world inspired me to create a successful wedding and event planning company, Joyful Ceremonies. I moved to the island of Kauai in 1989 from New Jersey, running my horseback business while volunteering as an event coordinator for many non-profits, including the Jewish Community of Kauai. I am active with many non-profits on the island and the vice president and treasurer for the Kauai Wedding Professionals Association. In 2009, I felt drawn to combine my talents and offer Jewish, interfaith and non-denominational weddings, as well as weddings on horseback. 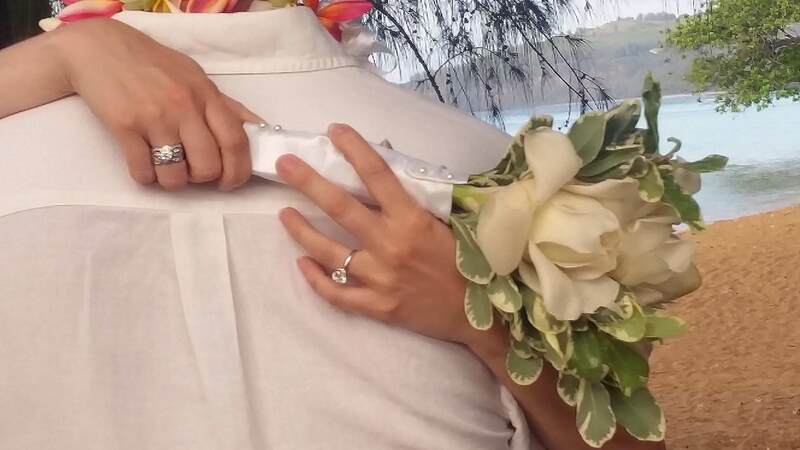 Studying other talented officiants helped me create unique blended Hawaiian and religious ceremonies. Generous locals taught me to blow conch shell and to chant in Hawaiian. Appreciating the beauty surrounding me, I thrive when busy and am further inspired by sharing my island with others. With a vast resource of Hawaiian professionals, I collaborate with experienced musicians, photographers, venues, florists and all of my inclusive-minded associates deliver with joy. Join our mailing list to receive the latest news and updates about weddings and other ceremonies on Kauai.